This 4-Jaw, Self-Centering Chuck with dovetailed jaws is great for small bowl and plate turning and features jaws that grip by clamping around the workpiece or expanding to fit a turned recess. 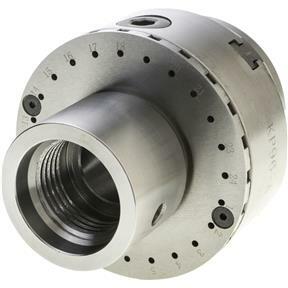 The minimum diameter required for clamping around the workpiece is 1-1/4" and the minimum diameter required for expansion is 1-13/16". 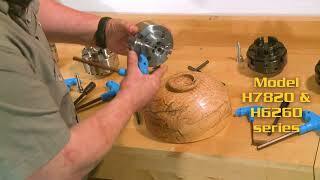 Includes T-handled wrenches, wood screw point and machined chuck lever. 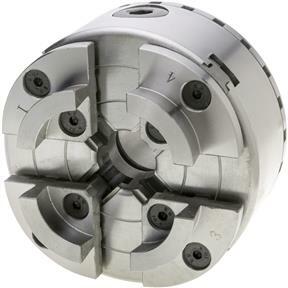 Compact design is ideal for smaller lathes. 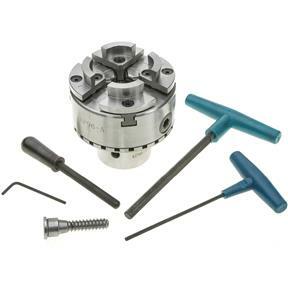 Works great with optional H6268 and H6269 jaws, which are available for additional clamping options.